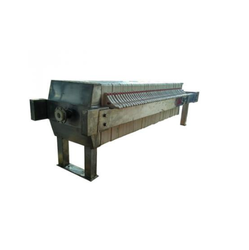 As per the specific needs of the clients, we are engaged in providing a high quality range of Oil Filter Press Machine. Being one of the renowned firms in the industry, we are decidedly involved in providing a premium quality array of Oil Filter Press. Backed by a diligent team of professionals, we have been able to manufacture, export and supply a qualitative range of Filter Press. We are providing an extensive array of supreme qualityOil Filter Press, Filter Presssuch asManual Filter Press, Filter Plate, Hydraulic Filter Press, Membrane Filter Press andFilter Press.These parts are manufactured using high quality components and high-end technology to meet the set industry norms.